Terraform One is a 250 sq ft modern tiny home that was created as a collaboration. 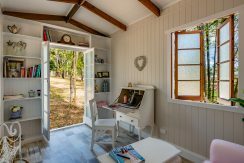 Built to be a forever home, Terraform is not a typical tiny house. 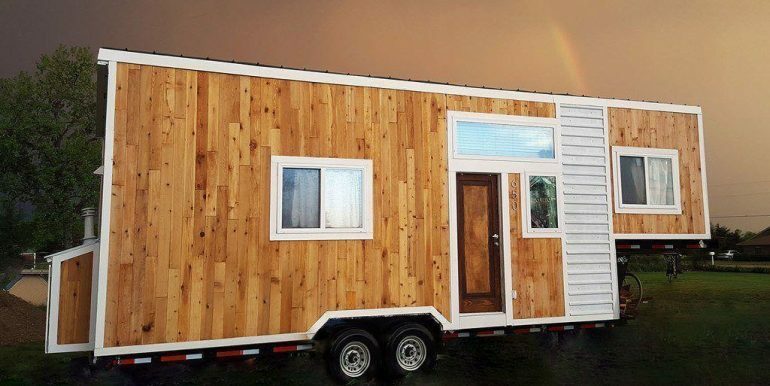 Half of the total home budget went into engineering, including a custom-built trailer and a durable, energy-efficient shell constructed with Structural Insulated Panels (SIPs). Inside, Terraform’s aesthetics are equally top-quality. Finished in June 2016, it features a modern industrial design with exposed conduit, a kitchen ready for a chef with a commercial sink, 110” projector set up with whole home surround sound, plenty of storage, a 100 sq ft 2-level deck, and comes complete with all the household items you need to move in on day one. 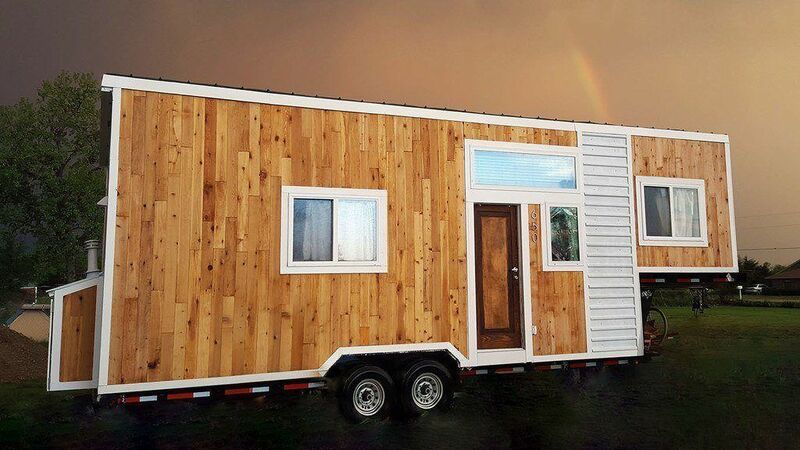 This Tiny Home on Wheels (THoW) was built for an individual, couple, or even a small family. Anyone looking to live both simply and comfortably without spending their whole life paying off a mortgage. Parking and towing are available! After living in the home for almost two years, I realized it’s just way too big for me. 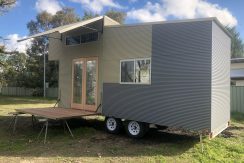 I started building my new 54 Sq Ft Tiny House on Wheels in March of 2017 and moved into it in October of this year. Terraform One has been an amazing home, but I need to pass it onto someone who wants a bigger tiny home.